Yoshiko Shimada. 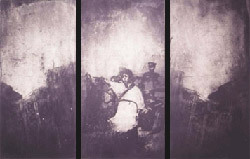 Shooting lessons #11 (1992), print. China, during the oppressive, sweaty summer heat. British colony, the Asian media capital. to raise questions and offer inspiration. daily radio shows, and onto CNN (Asia edition).